Sadaharu Oh was the best to ever play professional baseball in Japan. Never once did I see him play. Sadaharu Oh did something unique that prepared him to face off against the game’s best pitchers. He took swings in front of a mirror. Before every game, he’d spend 30 minutes hitting balls in the batting cage like every other player does. But then he’d take swings for 10 minutes in front of a mirror. There was no pitched ball for these mirror swings. Just Mr. Oh rehearsing his upcoming at-bats with his muscles and mind. Sadaharu Oh swatted 858 home runs during his 21-year career, more than any other professional baseball player ever. By my calculations, Oh spent 20 full days of his life swinging at nothing but air. Yet rehearsal brought success, likely because it helped him know his swing and visualize scenarios at the plate. Let’s go over how winning traders do what they do, so you can profit from the market too! In the past few weeks, I’ve discussed the first three market-based beliefs common among winning traders. Today, I want to share with you the fourth one: Mental rehearsal is important for success. It is OK to lose in the markets. Mental rehearsal is important for success. They’ve won before they even start. As we acknowledge the importance of mental rehearsal, it helps to think about how it works for winning traders and how it can work for you. I’ve listened to winning traders talk about what makes them successful. Many of them have said you must know yourself. Know how you respond to risk. Know how you respond to reward. Your emotional response to winning and losing matters for how you develop acceptable risk, reward and reasons in your investment approach. How much do you want to win, and how much are you willing to lose to make that happen? Are you entering a trade based on a hunch? Or are you placing a high-probability bet based on a disciplined and well-defined system? Does your success depend on price chart analysis? Or are you better off when you dig into a stock’s fundamentals? Once you learn what works for you, repeat it. And discard any temptations to do otherwise. It’s rarely a good idea to swing at a pitch that’s up high in the strike zone if you’re a low-ball hitter. Besides knowing yourself, you should also know what to do when the market is not acting the way you expected. Markets are inherently uncertain. Prices are determined by two parties, buyers and sellers basing their decisions on their perceptions of value. Therefore, you cannot predict prices. For what it’s worth, neither can I. But you can approach the market with probability bets. A probability bet is the result of mental rehearsal, where you envision what could go right, what could go wrong and why. Thinking in probabilities lets you balance your confidence and doubt in a useful way. You approach the market with a higher probability of success, yet you’re ready to adjust soon after you recognize an adverse scenario materializing. You may be expecting a fastball, but you’re ready to adjust if you’re thrown a curveball. 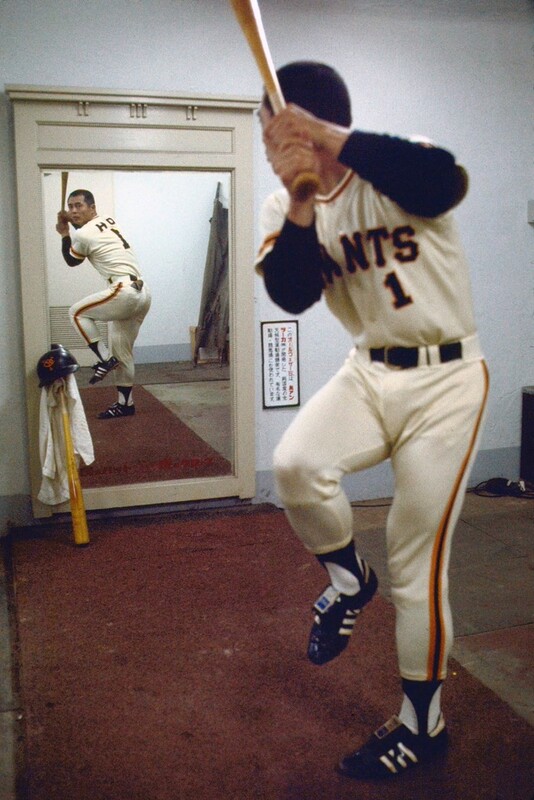 Sadaharu Oh practicing in front of a mirror. Tokyo, Japan June 4, 1977. I put a lot of hours into baseball. When I was most confident, I was at my worst. When the butterflies in my stomach kept me honest, I was at my best. I’ve put far more hours into trading. And I’ve learned the importance of mental rehearsal. Mental rehearsal is about finding the proper balance of confidence and doubt, pride and humility. And then using that balance to formulate your plan — your investment approach. Trust the plan. It’s the golden thread that runs through these five winning beliefs. Without a plan, you’re lost. The fifth and final belief common among winning traders is that they believe they’ve won the game before they even start. They’re so confident in the plan it sounds cocky. But it boils down to recognizing the difference between justified confidence and misplaced confidence. Next week, I’ll be discussing how winning traders can believe they’ve won before they even start … and it’s not by being cocky. P.S. Don’t forget to checkout my YouTube channel. Just click here, and hit the subscribe button to be notified when I post new content. « Previous It’s “Party Like It’s 1999”: Beware of the Bear Market!